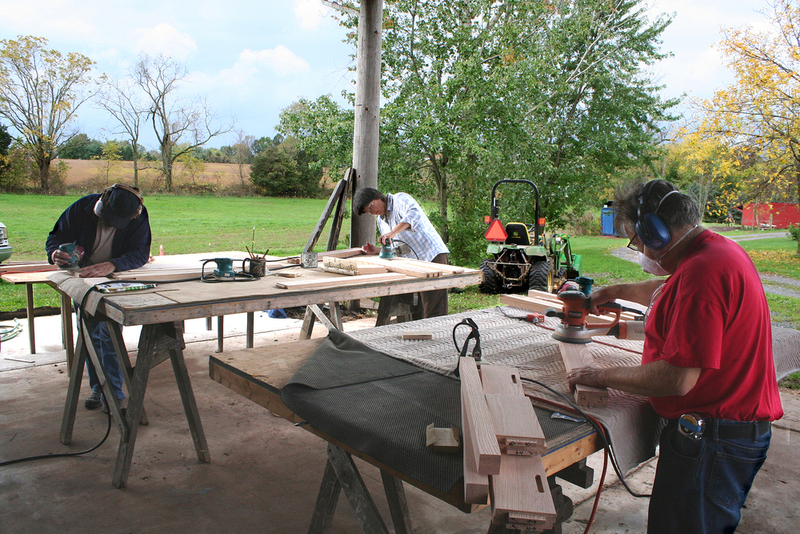 Our workshop is located on the 13-acre Lohr Farm in Schwenksville, PA. The shop is flooded with natural light from a large bank of windows facing the pasture outside. 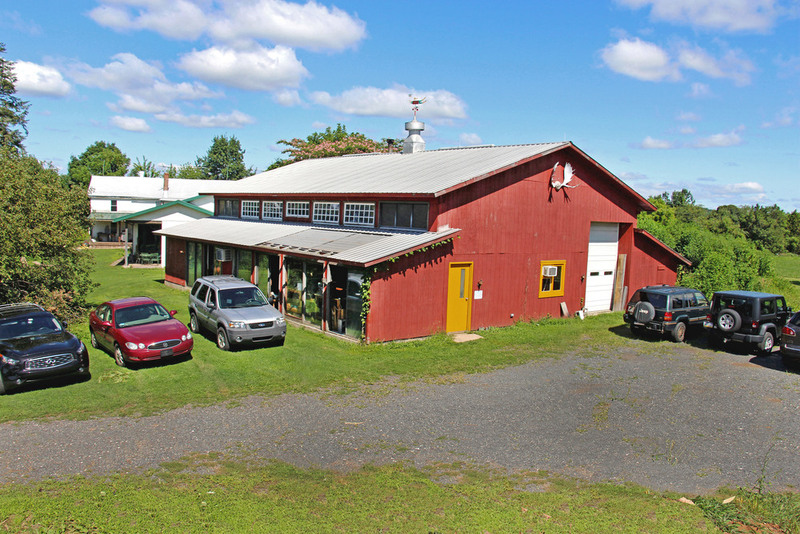 The atmosphere is open and airy, heated with a wood stove in the winter and air conditioned in the summer. Each student gets their own work bench during class so they have space to work and keep their tools and materials. All of our machines have dust collection and we have three air filtration units to keep fine particles out of the air. Below is a list of some of the tooling we use during the class. A wide array of hand planes, spoke shaves, files, card/cabinet scrapers, etc. While we do have some large, industrial equipment, we also have a wide array of equipment that would be more suited to a home shop environment. 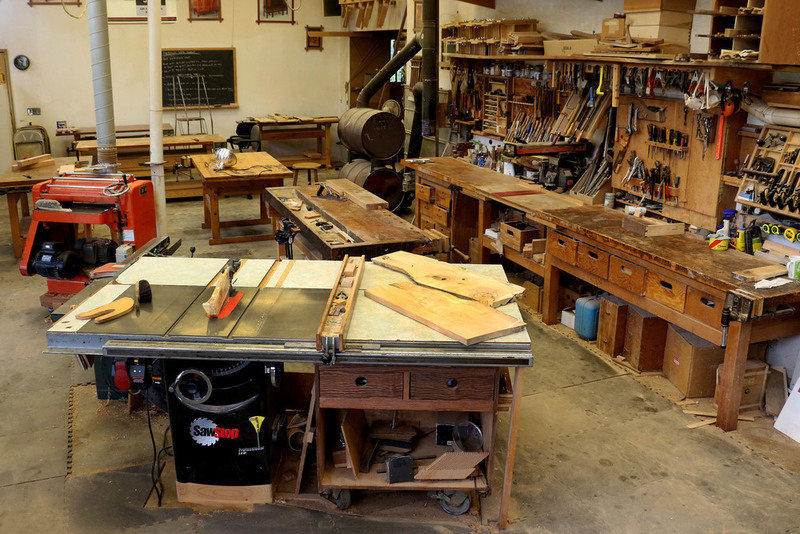 We want to teach you that you can make any of the furniture you see in our gallery with a spartan tool set up. Throughout the course we'll point out where it makes sense to get the best tools available and where you can use a more affordable option or a workaround with the tools you might already have to accomplish the same goal. 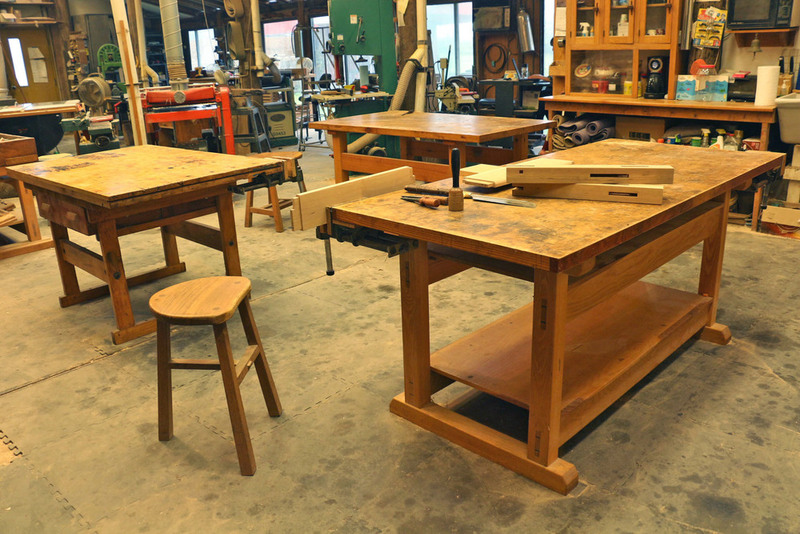 In the bench room, all workbenches are stout, built of solid oak, ash, and maple, and have a bench vise. 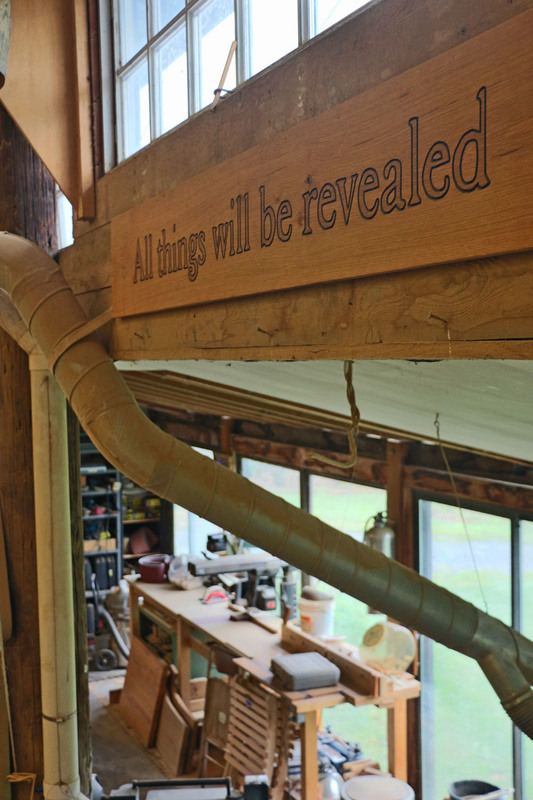 Our rough mill is host to thousands upon thousands of board feet of unique material and doubles as a classroom for the introduction presentation(s) to our courses. 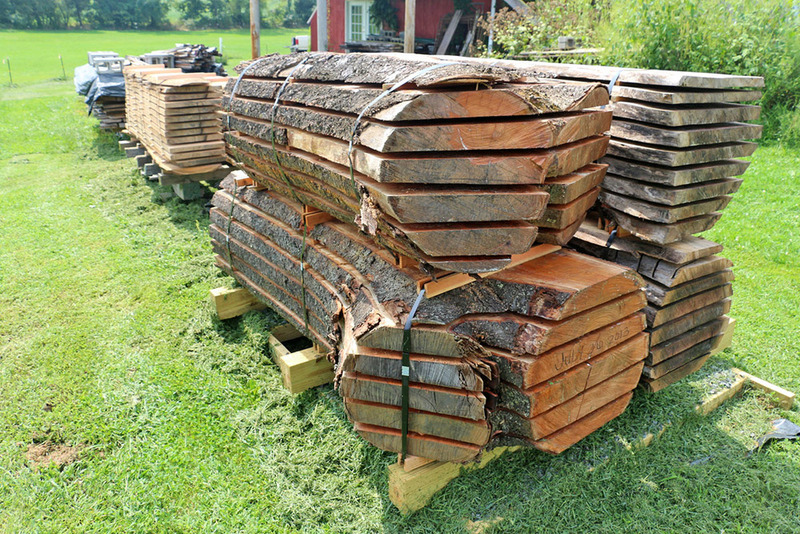 Beyond our main workshop we also operate a sawmill on premises. 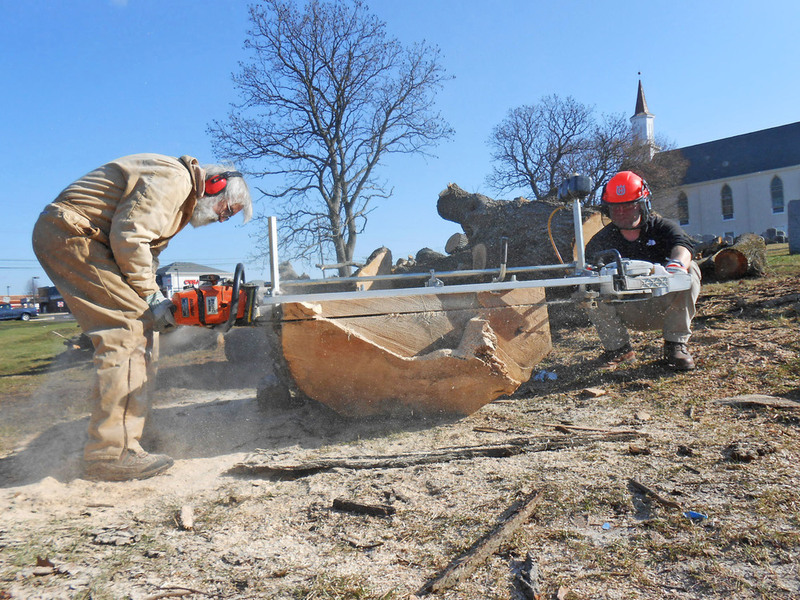 We have a stationary 24" bandsaw and a mobile 48" alaskan chainsaw mill. Attached to the sawmill, we house a solar kiln that serves as an environmentally friendly and efficient means to dry our sawn lumber. Not only will you be working with beautiful material here at the school, you'll be able to see how it is sawn and prepared.